I was pretty amazed this morning when I woke up and my body was feeling pretty good. Still sore, yes, but better than yesterday. I'm actually really amazed at how easy this recovery has been, especially compared to my Cleveland marathon. After Cleveland, my toenails were so sore I couldn't even sleep on my stomach because they would touch the bed and it hurt. I got a blister under my big toe and my second toe, and they turned black--but I never lost them, as a lot of runners do. I had a few blisters on my feet. I was chaffing in places I didn't even know I could chafe. My stomach was messed up for a couple of days--I spent a LOT of time in the bathroom. I also remember being so sore that I had to use my arms to lower myself into a sitting position (like holding onto the side of the toilet seat and slowly lowering myself with my arm strength) because my legs hurt so badly. I've had none of these problems this time around! My toenails aren't the slightest bit sore, I don't have a single blister, I didn't chafe anywhere, and while I'm sore, I can still lower myself into a squat without using my arms. I also didn't have any stomach issues whatsoever, which I can probably thank Rik for. During the race, there was a moment where I thought, "Oh no, my stomach is NOT happy" and Rik said I was probably drinking too much. He suggested that at the next station, I swish the water around in my mouth and then spit it out instead of swallowing it. I tried that, and after a mile or so, my stomach was good again. After eating a GU, I felt my stomach churn again, and decided to try out the ShotBloks I'd brought. Those were much easier on my stomach, and I started to eat one about every mile after. I didn't have any issues after that. So my recovery has actually been really great! I bet I'll feel totally back to normal in a day or two. I am now 44 days binge-free. I think the last time I went this long was during the year that I was losing weight. 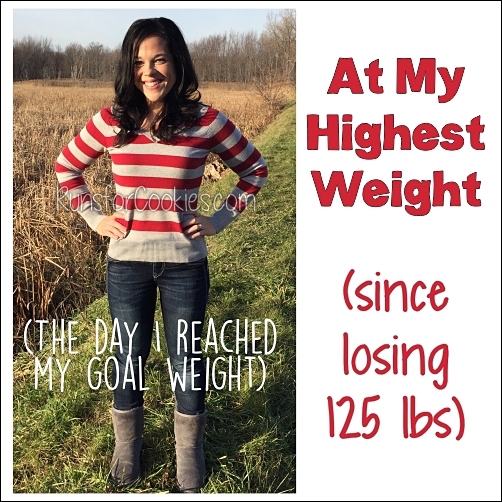 The six-week challenges I chose for myself (no peanut butter, and trying out Weight Watchers) have helped me tremendously to get back on track. The six weeks were done on Saturday night, but I am continuing with Weight Watchers because I actually like it right now. When I first started, I was fully expecting to have the same thoughts on it as I did before, but I was determined to give it a fair chance, and it has helped. I'm almost back to my goal weight range, I don't feel deprived, and I am back in control. 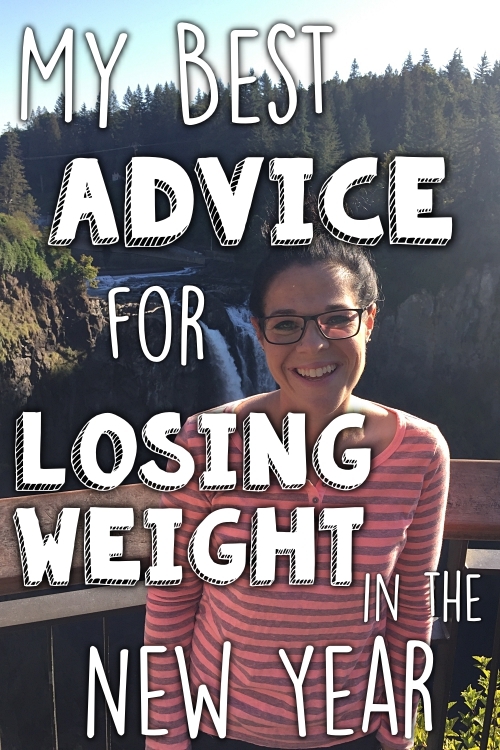 I think the main reason it was helpful in the beginning was that I paid money for the online program, and I didn't want to waste the money by quitting. I paid for three months, so I was determined to get my money's worth out of the three-month program. That stopped me from bingeing more times than I can count. The "free fruit" is the thing I actually like best about WW--because sometimes I just feel snacky, and when that happens, I can eat fruit and be very happy with it (grapes are still my latest love affair). Giving up peanut butter for six weeks was also extremely helpful in staying binge-free. Everything that I usually binge on contains peanut butter in some form or another, and if I couldn't binge on peanut butter, then the binge just didn't seem worth it. Now that I have stayed binge free for over six weeks, I am more determined than ever to keep the streak going. I know (from experience) that one binge always leads to another, and the longer I go without, the easier it will get. Another challenge I had almost forgotten about was one I made back in the spring--when our local ice cream shop opened for the season, I said that I would not get ice cream there, even once, during the entire season. If I wanted ice cream, I would have to drive much farther for it. And I actually followed through with that challenge as well! And finally, a challenge that I made, but didn't write about. I decided that I wasn't going to eat any Halloween candy for the entire season except for on Halloween Day, when I can use all 49 of my weekly PointsPlus on candy if I choose to. This way, I wouldn't obsess over candy when I saw it on the shelves at the store. So I haven't touched any Halloween candy yet--but I plan to eat some on Halloween for sure. I really like doing these little short-term challenges, because it makes me feel like I'm in control of myself. When I quit doing my 30 in 30 list, I had said that I was going to start doing weekly goals, but I really liked the six-week challenges. Long enough to be pretty tough to do, but short enough that it doesn't feel like forever. So now I'm going to try and come up with another six-week challenge for myself! I like mini challenges too. I recently had a friend invite me to participate in a 300 crunches/day for a month challenge. I politely declined (LOL). But stuff like that really works for me. I like to try to think of things to *add* to my regimen not just things to cut out. I like the idea of adding something--I was thinking about making my next challenge have something to do with adding vegetables, because I don't eat very many veggies. I actually did have chafing problems during training--the edge of my sports bra (the "neckline" part) would chafe and I always looked like I had hickeys on my chest. ;) But I was very liberal with the Aquaphor before the race, and didn't get any chafing. And I did hit the wall once during training--my 18-miler with Jessica. It was so awful that I made sure it never happened again! (Hitting the wall can be avoided by ingesting enough carbs during the run). I have to say again Congrats on a great marathon!! I'm thinking of trying your 6 week challenge idea for myself. Through the process of trying to lose weight and get healthy I'm learning more and more about myself (like I have a serious sugar addiction and from what I am finally piecing together, a binge disorder) and could use whatever tools I can. Mini challenges just might be something good for me. Congrats on all your successes!! 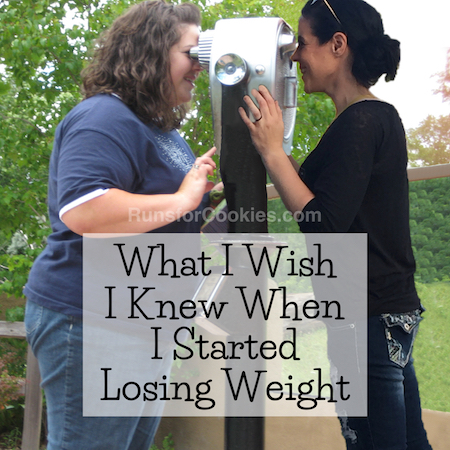 It's amazing all you can learn about yourself while losing weight! I know my body SO WELL now, and what effect every little thing will have on it. Good luck! I am doing a 'not eating out (or ordering out and eating in)' challenge for six weeks. We have gotten to the point where we were eating out at least every other day, and it's crazy! I'm determined to stop it. That sounds like a great challenge! Sometimes we need to do something drastic to get out of a rut like that. Me and peanut butter, for instance... ;) Good luck! Congrats! I have no desire to run a full marathon, but am training for a half! I'm only half crazy, haha. 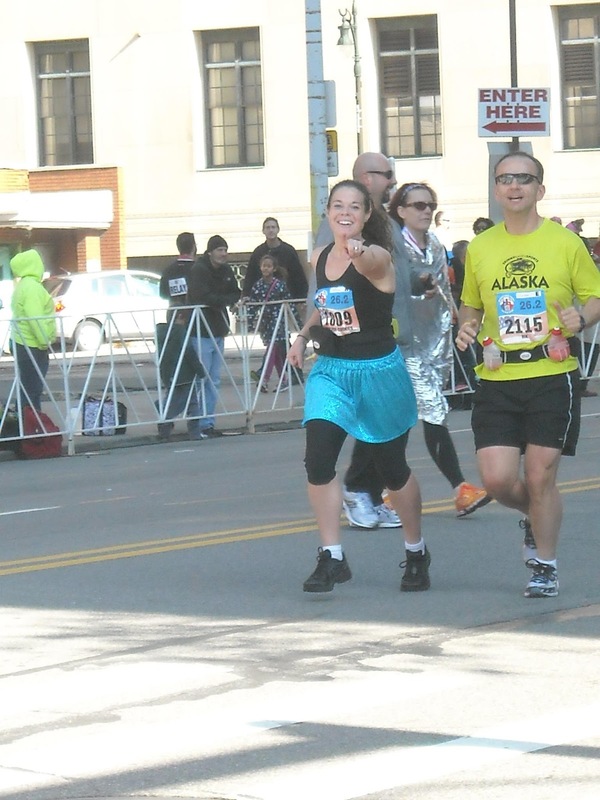 Half-marathons are actually really fun, and I'm excited to go back to those. They are challenging enough that you have to train and work for it, but not so challenging that it takes over your life (like marathon training). Let me know how it goes! 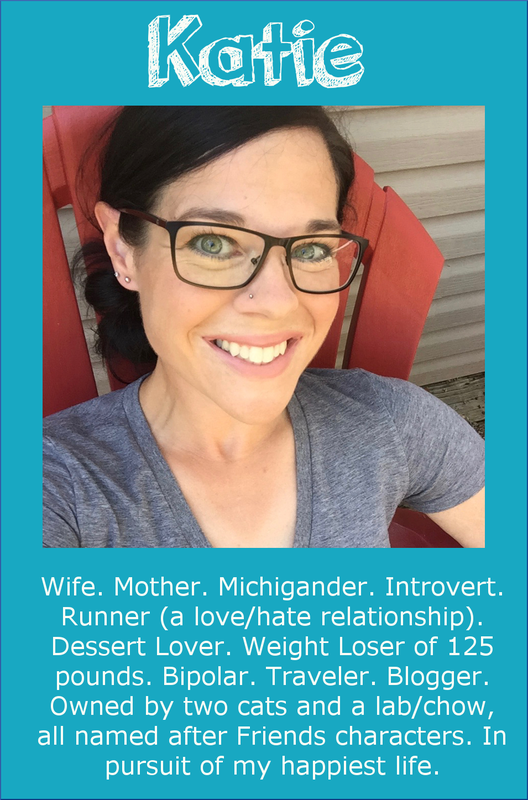 I absolutely love hearing about your running success! Congrats on the marathon. 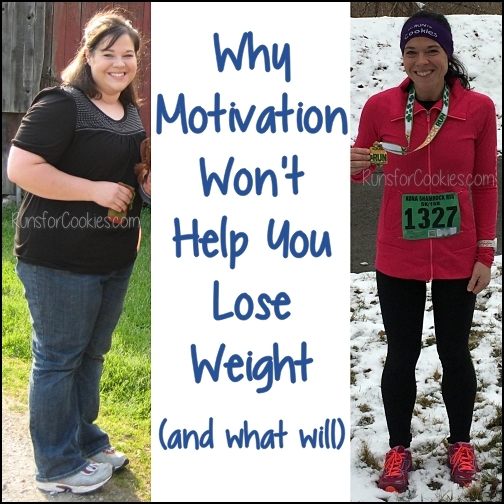 Question...While losing your weight did you only run? What other workouts did you do? And when running, did you only do 3 days a week the whole time? Hi there! Yes, the only exercise I did was run 3-4 days per week. (At first I was walking, but gradually shifted to running exclusively). Running is the only exercise I've ever done that I got hooked on. I should have been doing strength training as well, but I just didn't. The six week challenges are a fabulous idea...I need to try one of those myself! I get in the modes where I say "I'm never eating sugar again" and all it does is set me up for failure, because as I know too well, there's no way I'm never eating sugar again. I really struggle with an all-or-nothing mentality, so the six week challenge seems like a great way to challenge myself without doing anything too crazy or too drastic for too long. Congratulations on all of your accomplishments!! After the Diva, I felt like you did after your last marathon so you give me hope that my next on in March will be a success as this one was for you! Thank you! Just want to say you are AWESOME! Wow, you're doing SO so great! I'm glad this was a much better experience! Katie-You've inspired me to get back on WW online and this time, it's sticking! I even passed up the office cake yesterday because I didn't plan my points to include it. 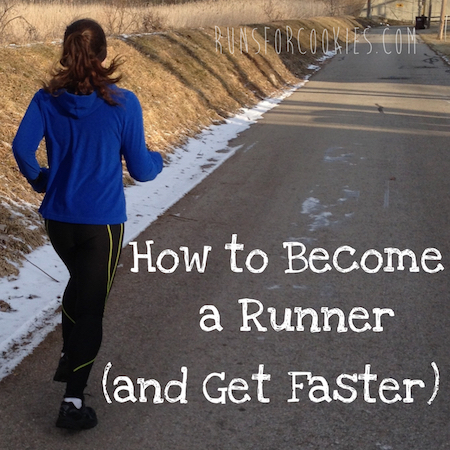 Question: when you do long runs, do you count your GU on WW? Yes :( I HATE having to use my PointsPlus on GU and Gatorade, but I do count it. I'm so glad your little challenges are working for you!! Great job! !